I m guessing, the universal love for biryani comes from the fact that it's, chicken n chawal under one roof! It's complete dish,it can be eaten as a fast food, it tastes awesome and it can be refrigerated for 1-2 days!and it's comparatively 'light' than other non-veg curries and it makes excellent guest-pleaser, Monday -lunch- box item and raid -the -fridge- after -midnight dish! It can be a little time consuming,but it's well worth it. Follow the recipe word by word and it will work out. I have made the recipe simple and easy to get at very first time,without compromising the taste,hence-fool proof! The theory: the basic idea here is aromatics- the better your fragrance of basmati, mint-coriander leaves, roasted masala,better will be your dish.also, a constant temperature while cooking ensures nice biryani! PS it's the rustic version,but believe me when I say,once you make this..you will love me for this:) serving suggestion: make salad-raita and serve with a glass of iced coke! As always,thanks for reading this and plz feel free to drop comment/suggestions. 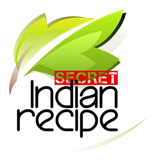 Chinki's Secret Indian Recipe ! Basmati Rice-2cups- washed- no need to presoak! Take a deep kadahi/cooker to make chicken: add ghee+refined oil-med high flame>> add green chili>>onion>> add salt >>fry for 15 mins till golden brown>> add gin-garlic chopped>>10mins>> add potato (opt)sauté well without burning! Place flat bottom pan on a switched 'off' stove,add layer of steaming rice,on top add the big cooked chicken pieces,potato,egg slice>>then add another layer of rice>> pour the extra chicken oil on the top layer rice in a circular jalebi like pattern this will color the rice in yellow and white respectively.close the lid,as all ingredient is cooked you just need to layer them and let them exchange steam n flavors! Do not use the entire chicken gravy in layering-we need chicken pieces more than gravy! You can layer as per your quantity making sure bottom most and top most layers have rice in it! If you want you can grind all the Masalas in order to avoid a clove in your bite, but I like it rusty!